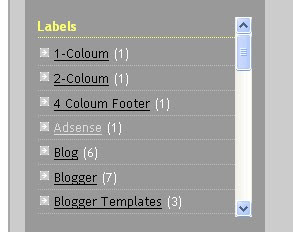 How to add Scrollbar in Blog Widgets ? 1. Login You blogger Account. 2. Click Layout and then click EditHTML. 3. Scroll down to see Widget IDs Look Like In Fig - 2. 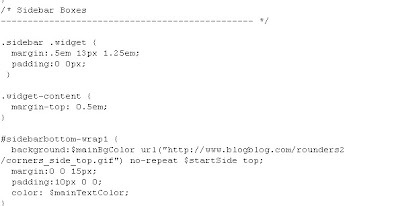 Red coloured in this code example : LinkList1, HTML1,Label1, etc. It is because if you choose Label and LinkList is perticular Name while HTML is Blank you not named that widget and HTML is default name. 6. You can change the heigh of the coloum by changing Value 200px. 7. Save your template. You done. Note:- This code is only to change one wideget of sidebar. If you want to change all widget in all sidebar, you have to place code given in blue box below instead of given above. Here is trick to leave one widget without scrollbar. For this you have to increase hight of coloum sufficient so that it increases more than hight of real content in that coloum. Having any trouble leave comment and i will try to solve it. Over Flow occurs When provide size is smaller than the size of content. To retain content in box, just calculate the total size of content and provide more size value in code.